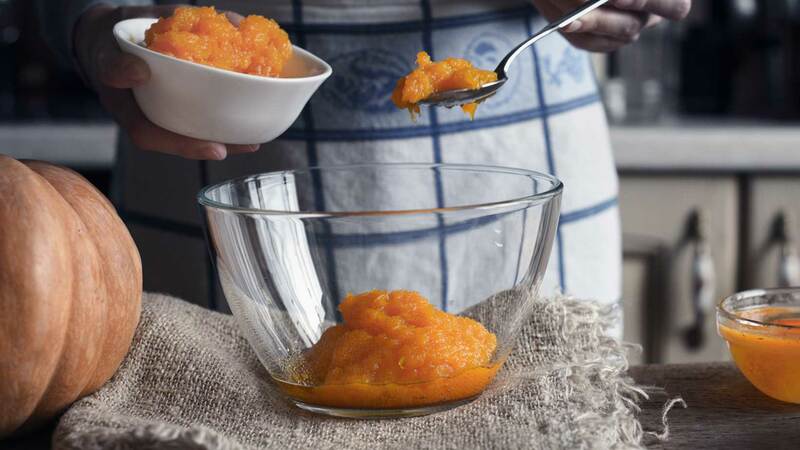 Once you’ve cooked the food that you’re going to make into baby food, the next step is to create a puree, which is simply food that has been turned into a thin, smooth texture. It is created by blending or processing a food, typically a fruit or vegetable (or a meat), until it becomes thin and smooth. This is usually accomplished in a food processor or blender, or even with a hand mixer or immersion (stick) blender. Babies who begin to wean from breast milk or formula often begin the transition with pureed food. Pureed foods can be ideal first foods for babies because the texture of the foods makes them easy to digest and easy to spoon-feed, plus they offer baby a familiar texture. Keep in mind, though, that babies don’t always have to start with purees. In fact, baby’s first foods can also be soft, mashed foods. If you're interested in a more baby-led approach, check out the spoon-feeding versus the baby-led feeding and the pros and cons of both. Read all about Storing Homemade Baby Foods to learn how easy it is!